Dr. Rahul has obtained his MBBS from Christian Medical College, Ludhiana, India in 2007. Later he got his DVD from Medical College, Baroda, India in 2011. He completed his DNB in 2014 from Jaslok Hospital, Mumbai. He worked as Senior Regisitar at Dermatology Department at Jaslok Hospital & Research Centre, Mumbai for two years between 2012 and 2014. Then he moved to Rejoice Aesthetics as Specialist dermatologist. Before joining NMC Hospital, DIP Dr. Rahul was working at Dixit Skin Hospital and Pathology Lab as Specialist Dermatologist. He received his fellowship in Dermatologic Laser Surgery in January 2017 from Ramathibodi Hospital, Bangkok, Thailand. 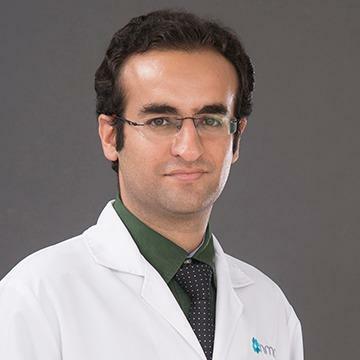 Dr. Rahul collaborated with Yale School of Medicine, USA as the Visiting Physician Observer, Department of Dermatology. He has attended many workshops and coneferences in the field of Dermatology inlcuding 44th, 45th and 46th National conference of Indian Association of Dermatologist Leprologist and Venereologists in 2016, 2017 and 2018 India, 3rd International Conference on Trichology Hair India, 2014 and 18th Annual Congress of Cosmetic Dermatology Society of India, Cosdermindia, 2014 to name a few. Dr. Rahul is fluent in English and Hindi.